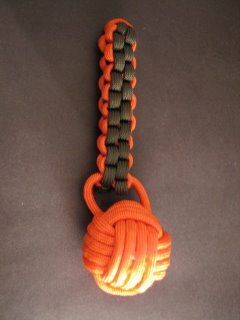 You can get it in different colors in this picture I used OD green and International Orange. The creation of the fob itself is more a creative process than a science. I used a monkey fist knot ties around a marble. Then a square knot . At the end you will have some "strands" of paracord and you will have to carefully burn them to solder the loose strands to some part of your fob. Use a small torch lighter if you can. For inspiration about other ideas and designs you can visit StormDrane's blog and you can also keep tuned here since I have many designs coming. 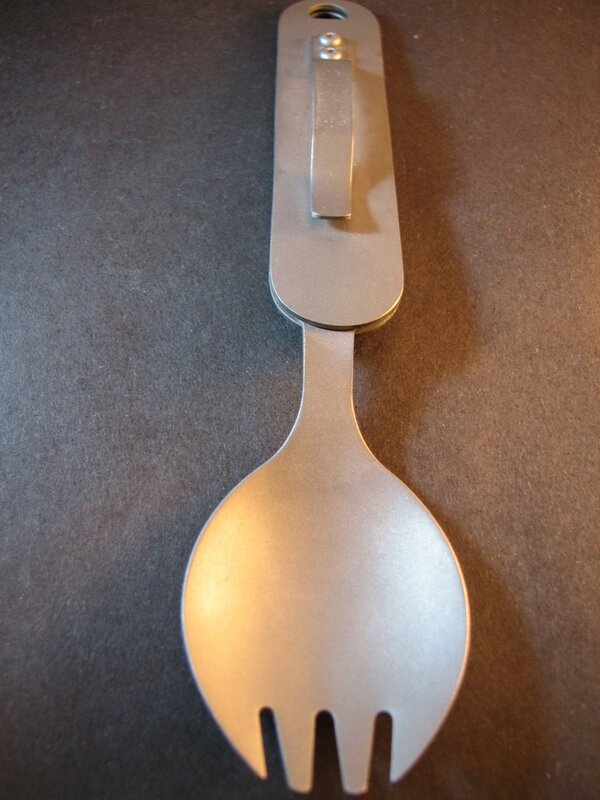 TAD Gear's folding Titanium Spork. A spork is an utensil that combines a spoon and a fork, then the cool name:spork. And titanium is the preferred material of EDC people, light, incredibly strong and corrosion resistant. This folding spork by TAD gear can be folded and has a clip so you can take it with you in your backpack, belt or pocket. This spork is very very light, almost weightless compared to other utensils. The "fork" part works well it is not sharp but can pinch and be used to eat meat, chicken, fish and vegetables. 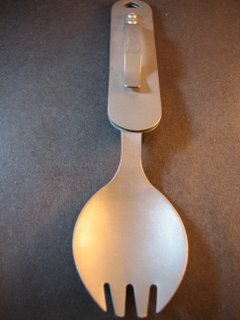 The spoon works as a normal spoon and can be used from soup to rice or mashed potatoes. The Spork is great, it will get scrateches in the TI scales from folding and unfolding. When unfolded it may not be as strong as some titanium utensils are, it kind of bends a little under pressure but is still completely useful for general eating purposes, you are not going to use it to pry things, are you? Davis Key Fob, saves your keychain from water. 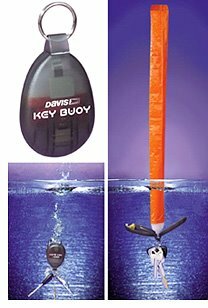 This cool little gizmo is a keychain fob that when in contact with water will deploy a buoy to keep up to 2lbs of edc items floating instead of sinking. Sharpie released a fine-point version of their popular EDC item the Sharpie Mini, the new name is Sharpie Micro. Available in several colors this has the advantage of being permanent, so it can be used as a pen. The keyring attachment works great you can quickly dettach the Micro from your keychain, use it and put it back in place. It is a marker but at the same time a menace to other popular EDC writing instruments.